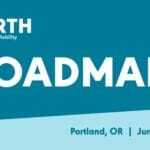 Coalition member, FORTH, is looking for speakers for its Roadmap 11 Conference, June 19-20, 2018 in Portland, OR. Forth is looking for speakers who are working on cutting-edge projects, asking the tough questions, and are experimenting with making shared, autonomous, connected, and electric mobility work in a variety of unexpected situations. Click here for submission requirements, due by December 15, 2017.